D’MAESTRO IS A NAME VERY FAMILIAR TO THOSE IN THE ATLANTA, GA. AREA. HIS MUSIC IS VERY FAMILIAR ALL OVER THE UNITED STATES AND EVEN IN OTHER COUNTRIES. D’MAESTRO IS A NATIVE OF ATLANTA WHERE HE HAS SHARED THE STAGE WITH GREAT ARTIST SUCH AS KELLY PRICE, BYRON CAGE, XSCAPE, JAGGED EDGE, DONNELL JONES, LASHAUN PACE, ANN NESBY, AND JOHN P. KEE JUST TO NAME A FEW. 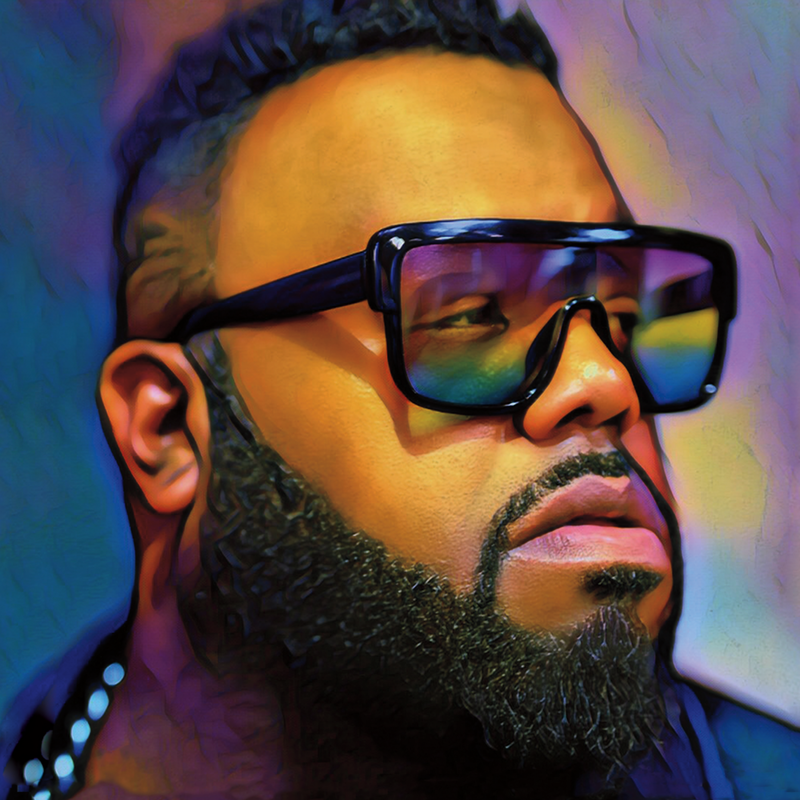 HE HAS TOURED INTERNATIONALLY AND ALSO SHARED STAGES WITH THOSE SUCH AS DESTINY’S CHILD, JAHEIM, JOE, MISSY ELLIOT, CARL THOMAS, N-SYNC, DAVE HOLLISTER AND MARY MARY. D’MAESTRO PRESENTLY HAS 5 ALBUMS OUT AND WITH EACH ONE HE SEEMS TO CLIMB JUST A LITTLE BIT HIGHER. HIS FIRST CD “SANCTUARY HIT STORES IN 2002 AND MADE HEADWAYS FOR HIM IN SO MANY PLACES. CLASSIC SONGS SUCH AS “SANCTUARY” “BEFORE WE LAY” “IF I TELL” AND “AFRAID TO SAY ME” ARE STILL FAVORITES TO SO MANY. HE THEN IN 2005 RELEASED “SITUATIONS” WHICH HAS BEEN NOTED AS ONE OF THE GREATEST FOLLOW UP (SOPHOMORE) PROJECTS TO DATE. THIS ALBUM LANDED HIM THE #1 SPOT IN SELLS IN PEPPERMINT MUSIC STORE THE FIRST WEEK OUT SELLING EVEN SOME OF THE MAJOR ARTIST. HIS 3RD ALBUM “SENTIMENTAL” WITH SONGS LIKE “DON’T CONFUSE ME” ,”LOVE’S GONNA LOVE ME FIRST”, AND “CAN I” GOT HIM NOTICED IN THE OVERSEAS MARKET AND LEAD TO THE DISTRIBUTION OF ALL 3 OF HIS ALBUMS IN JAPAN. AND THEN HE DID IT AGAIN WITH HIS PROJECT “SANITY” THIS PROJECT CAME FULL CIRCLE AND TOOK HIM EVEN HIGHER. SONGS LIKE “EVERYTHING” “WHAT HAPPENED?”CLOSURE” AND CLUB BANGERS LIKE “WHAT I WANT” AND “BIGG BOI SWAGG” GOT HIM NOTICED IN YET ANOTHER OVERSEAS MARKET (UNITED KINGDOM) WHERE HE HE MANAGED TO CHART # 1 ON THE INDEPENDENT ARTIST CHARTS IN JUST 13 WEEKS. HIS LATEST RELEASE “SEVENTY3” HAS BEEN SAID TO BE D'MAESTRO’S GREATEST WORK TO DATE. HE GIVES TRUE R&B WITH THE SONGS “ONE LAST” & “SOMEBODY ELSE’S LOVE” HE GIVES US HIP HOP WITH THE SONGS “GONE” & “IT’S ABOUT TO GO DOWN” PURE OLD SCHOOL WITH “HARMONY,” NEO SOUL WITH “ME AND MY MUZIK AND EVEN A TOUCH OF REGGAE WITH “I LIKE YOU.” THIS PROJECT HAS SOMETHING FOR EVERYONE!! D’MAESTRO IS KNOWN FOR HIS GREAT BALLADS AND HIS STRONG VOCALS BUT IS LOVED FOR THE PASSION THAT IS FELT IN EVERY SONG AND SEEN IN EVERY PERFORMANCE. WHEN IT COMES TO LONGEVITY, D’MAESTRO IS A SOUL SONGSTER WHO HAS STOOD THE TEST OF TIME. HIS 2002 DEBUT, SANCTUARY, SET THE COURSE FOR HIS EXTRAORDINARY CAREER AS AN INDIE ARTIST GAINING INTERNATIONAL ATTENTION WITHOUT THE MAJOR LABEL BUDGET. SIXTEEN YEARS AND FIVE ALBUMS LATER, D’MAESTRO IS NOW A PART OF THE LEGENDARY ATLANTA CONVEYOR BELT, WHICH HAS PRODUCED SOME OF THE GREATEST SOUL ARTISTS IN THE INDUSTRY. HIS HIGHLY ANTICIPATED SIXTH LP, 'GOT IT ALL,' IS A COLLECTION OF REAL-LIFE STORIES SMOTHERED IN A HEAVY BLEND OF NEO-SOUL, CLASSIC 90’S, R&B AND HIP-HOP. D’MAESTRO’S VOICE, COMBINED WITH THE CLASSIC SOUTHERN SOUL SOUND AND STELLAR LYRICS, CONVERGE TO FORM A SOULFUL PROJECT DESTINED FOR HEAVY ROTATION ON RADIO, SOUL MUSIC LOUNGES AND HOUSE PARTIES ACROSS THE GLOBE.